A new device that can "see" through walls using radio waves started stirring up privacy concerns in a federal appeals court just last month. And it's about damn time; according to a recent report from USA Today, over 50 law enforcement agencies have secretly been using the new radars for the past two years. 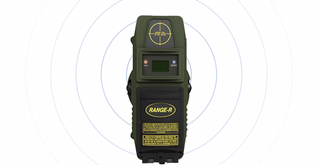 The Range-R motion detector, which is being employed by the FBI and U.S. Marshals Service among other outlets, allows police to essentially see through a home's walls before a raid and from up to 50 feet away. So if anyone inside is moving or even so much as breathing, law enforcement will know about it before busting in. By holding the sensor against the outside of your home, cops can transmit radar pulses through the wall, allowing them to reflect off any object they may come into contact with. As the scanner analyzes these returned signals, it then detects whether any were bouncing off a moving object in particular, classifying it as either a "mover" (more active) or a "breather" (less active). And apparently, they're doing all this without ever obtaining a warrant. The idea that the government can send signals through the wall of your house to figure out what's inside is problematic. Technologies that allow the police to look inside of a home are among the intrusive tools that police have. According to the manufacturer's website, "the RANGE-R is sufficient to detect people breathing, making it difficult for individuals to hide." And while the finely tuned detector can't work through metal, it can "penetrate most common building wall, ceiling or floor types including poured concrete, concrete block, brick, wood, stucco glass, adobe, dirt, etc."